The magnificent Trakehner – praised by many as the finest breed of horses in the world. Yet the breed only just survived into the 21st century. They were initially bred in the 18th century, in the East Prussian region of Trakehnen, which gives the breed its name. Originally used by the cavalry, these fast, light horses had to combine power and endurance to survive harsh conditions, yet be attractive enough to be ridden by an officer. Most of these horses were bred at the main stud of Trakehnen, located in today’s Kaliningrad. The Trakehner horses also excelled in sports, especially between the wars, winning numerous medals at the Olympic Games. Everything changed with the outbreak of World War II. In 1944, the Russian Army marched across former Trakehnen, and countless inhabitants, including the horse breeders, had no choice but to flee. In the harsh winter of 1945, tens of thousands of people and around 18,000 East Prussian horses made the long trek to the west. Thousands of lives – men and horses – were lost in the unforgiving conditions on the notorious journey now known as Der Treck (“The Flight”) before reaching safety. By the end of World War II, Trakehnen was a wasteland and only a few dozen Trakehner horses had made it to the West. But all was not lost. A few dedicated individuals and breeders were determined to save the breed and, more than half a century later, Trakehner horses are found all around the globe. A combination of historical documents, and interviews with contemporary witnesses who were on the infamous ‘Treck’, will take us back in time. 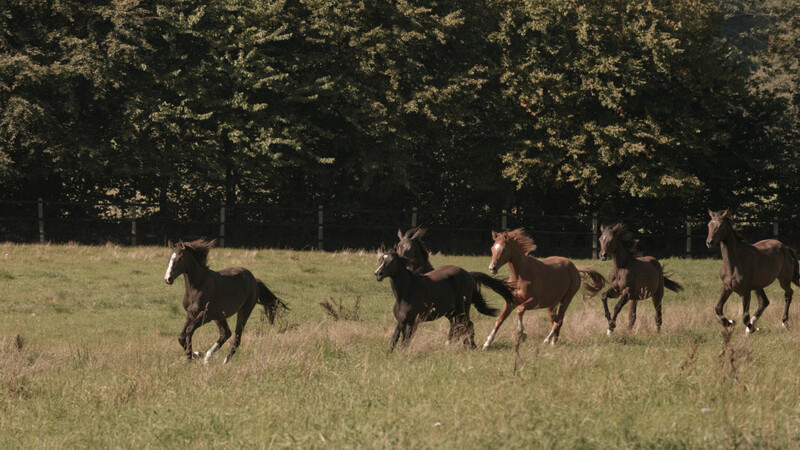 But we’ll also follow a select group of Trakehner horses throughout the year, from the first steps of the new foals in the lush green meadows of their studs, to their first – and crucial – examinations. Mares and stallions undergo specific, mandatory tests which they must pass to be accepted as part of the next breeding generation of Trakehner horses. From leisurely rides across glowing yellow rapeseed fields in Northern Germany, to aspiring young riders hard at work on the shimmering beaches of the Baltic Sea, to the tension of tournaments and examinations, we follow the horses and their devoted breeders, owners and riders throughout the year, capturing the grace and beauty of these magnificent animals in state-of-the-art 4K imagery. And we’ll understand why some consider the Trakehner the greatest horse breed on Earth.